More and more cities and towns, especially in southern Germany, are open for multi‑storey timber buildings. 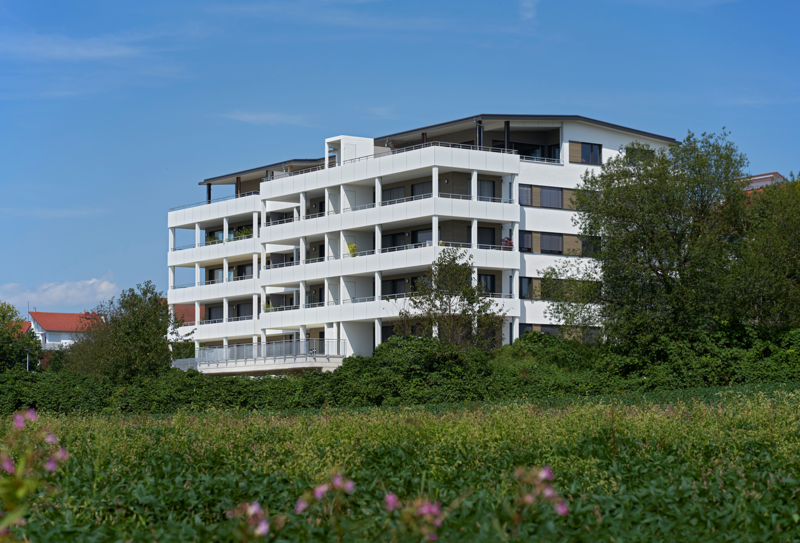 The wood construction company Müllerblaustein Holzbau GmbH has convinced the German city of Friedrichshafen on Lake Constance of this apartment building concept. The multigenerational house with a lakeside view was built as an environmentally friendly wooden structure and designed as a passive house. 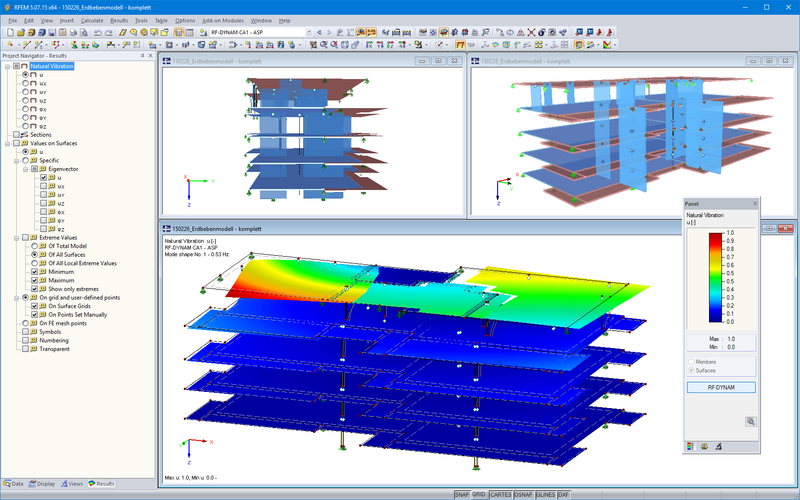 The engineering office Pirmin Jung Deutschland GmbH, a German customer of Dlubal Software, was responsible for structural analysis, among other things. With a length of 45 m and a width of about 23 m, the five‑storey timber structure provides a total space of 2,200 m² for 19 apartments. The glazed entrance area in the central part connects two asymmetrical residential parts of the building. 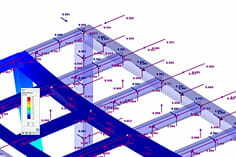 The foundation consists of a reinforced concrete floor slab with a thickness of 25 cm. The basement is also made of reinforced concrete and includes storage rooms, building equipment rooms, and underground parking lots. Above the concrete structure is the 15.8 m high timber structure. 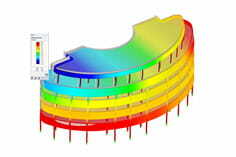 The building casing consists of wooden panels. The inner walls are made partly of five‑ply 10 cm thick laminated timber and partly of wooden panels. The floor slabs are composed of a timber-concrete composite system. On the 12 cm thick cross‑laminated timber panels, a fast‑setting concrete layer with a thickness of 14 cm was poured on site. The building reinforcement comprises exclusively the timber structure, that is, partition walls between the apartments and the timber-concrete composite slabs. 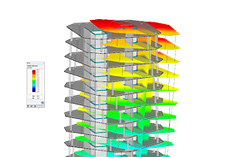 Since the Lake Constance region is located in earthquake zone 2, the engineering office Pirmin Jung also had to analyse the earthquake load case on the 3D model in RFEM. 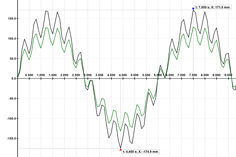 For this, the response spectrum method in RF‑DYNAM was used. ‘Since the joint forces could be calculated exactly, it contributed to a more cost‑effective solution compared to the commonly used lateral force method’, the engineers of Pirmin Jung reported.